Though these crystals appear early on (as soon as we meet Queen Beryl) they aren't used actively until act 13, when Nephrite is told to stay away from Zoisite as he recovers his memories. It seems to hold an energy that influences the Shittenou. 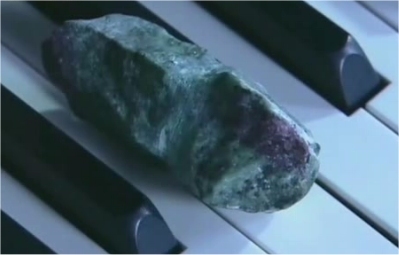 After many rough battles, Queen Beryl holds her hands over Jadeite's unconscious body and he transforms into this stone. She then places the stone on a shelf (there were four shelves, which suggests that all Shittenou could have been turned to stone in the series, but the series only showed two turning to stones). Later on, Jadeite turns back into a man and is revived. After Sailor Venus reveals herself to be the princess in act 12 (she was a decoy, of course), Zoisite returns from battle exhausted and turns into this stone. 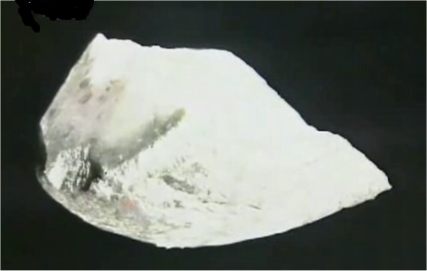 Later, the stone is placed on a shelf along with the Jadeite stone. This flower starts off closed and white, but Beryl breathes Metallia's energy into it. 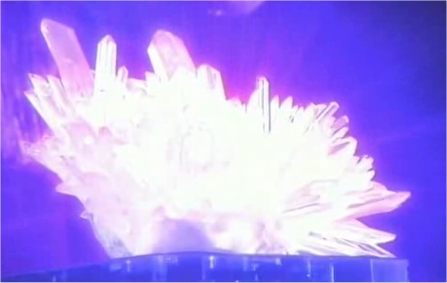 When it bloomed, Shin transformed into Kunzite, reviving the final member of the Shittenou.